The people of Ocean Steel's Miscellaneous Steel Division are highly skilled and knowledgeable professionals who can aid you in finding the perfect customized solution. Our manufacturing facility in Fredericton, NB offers a complete range of steel fabricating processes. From customized single part orders to high volume production runs, we have the manufacturing equipment and expertise to meet your needs. 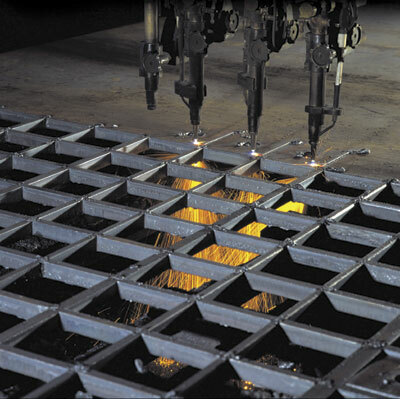 Our specialties include complete or partial fabrication of any size custom projects, including platework, structural and miscellaneous items that require a quick turnaround. Typical projects include: hoppers, conveyors, bins, tanks, cones, pipe hangers, frames & troughs. We build custom fabricated metal items to your specifications.